1. Wunderink L et al. Recovery in remitted first-episode psychosis at 7 years of follow-up of an early dose reduction/discontinuation or maintenance treatment strategy: long-term follow-up of a 2-year randomized clinical trial. JAMA Psychiatry. 2013 Sep;70(9):913-20. 2. Wunderink L, et ak. 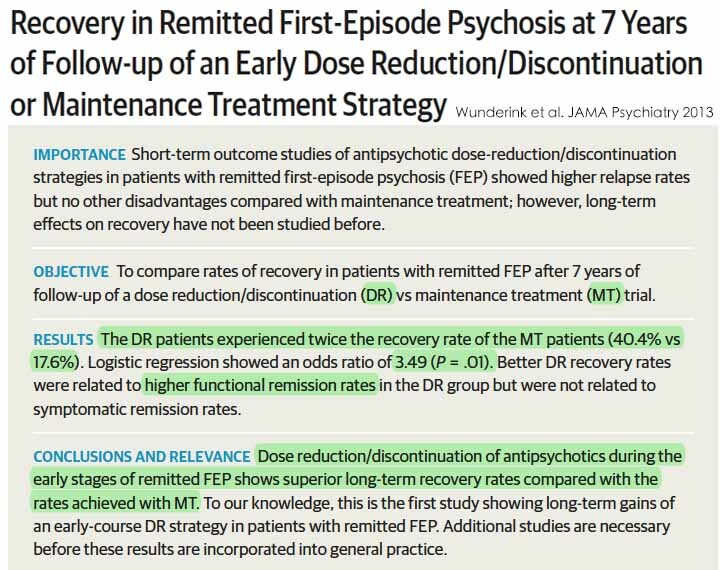 Guided discontinuation versus maintenance treatment in remitted first-episode psychosis: relapse rates and functional outcome. J Clin Psychiatry. 2007;68(5):654-661. 3. 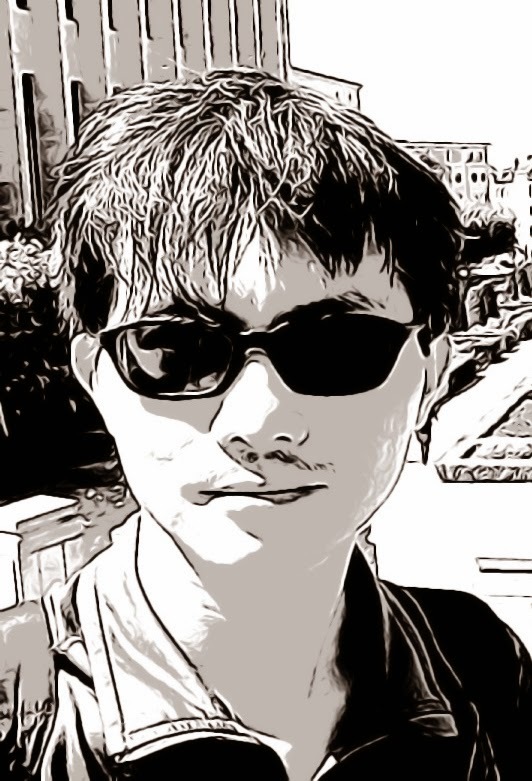 Chen EYH, et al. Maintenance treatment with quetiapine versus discontinuation after one year of treatment in patients with remitted first episode psychosis: randomised controlled trial. BMJ. 2010;341:c4024. 4. Vazquez-Barquero J, et al. How long should early intervention last in the first episode psychosis? insights from the discontinuation protocol of the Cantabria’s first episode clinical program (PAFIP). Schizophr Res. 2010;117(2-3):116. 5. Emsley R, et al. Symptom recurrence following intermittent treatment in first-episode schizophrenia successfully treated for 2 years: a 3-year open-label clinical study. J Clin Psychiatry. 2012;73(4):e541-e547.